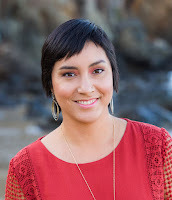 I'm Dr. Adonia E. Lugo, an urban anthropologist and mobility justice strategist based in Los Angeles. I collaborate with folks around the country to envision a sustainable transportation future centered in the needs and experiences of historically marginalized communities and people of color like me. Contact me about readings, consulting, and teaching at adonia@urbanadonia.com. Soy Dra. Adonia E. Lugo, una antropóloga urbana y estrategista sobre la movilidad justa, y yo vivo en Los Angeles. Trabajo con grupos en los EEUU para imaginar un futuro de transporte sostenible que va a servir la gente de color y las comunidades oprimidas. Mi correo electrónico es adonia@urbanadonia.com. 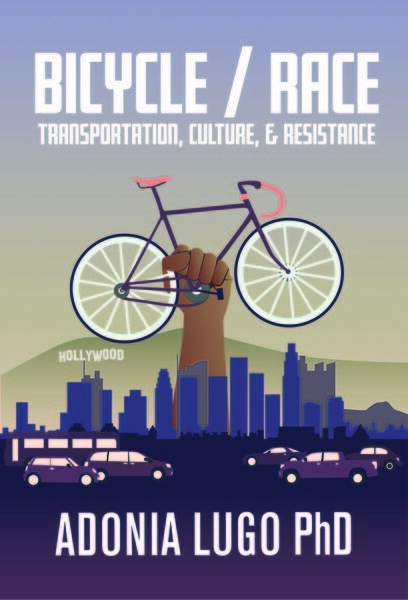 Bicycle/Race: Transportation, Culture, & Resistance, my memoir about racial justice and sustainable transportation, is now available from Microcosm Publishing. | Find out about upcoming readings and media coverage on my book page. Erick Huerta interviewed me for the Órale Boyle Heights podcast, I'm Episode 15! I talked about my book, bicycle gentrification, and navigating white-centered social movements on the Ground Game LA podcast. I joined Patty Peltekos on the show A Public Affair on WORT 89.9 FM Community Radio in Madison. I spoke with Alon Raab and Tori Bortman on Portland's KBOO Bike Show. Alejandra Molina interviewed me for Next City. I did a Q&A with Tanvi Misra at CityLab. At Streetsblog Chicago, Lynda Lopez shared her thoughts on my book. Managing the Bike Equity Network email list. Bicycle/Race: Transportation, Culture, & Resistance is now available from Microcosm Publishing. I'm a contributor to Bikequity: Money, Class, & Bicycling, #14 of the feminist bike zine Taking the Lane. With Aaron Golub, Melody Hoffmann, and Gerardo Sandoval, I co-edited Bicycle Justice and Urban Transformation: Biking for All? (Routledge, 2016). I started working on sustainable mobility as a co-creator of bicycle promotion projects and then became an advocate for dismantling racism within the active transportation movement I'd joined. In my PhD years, I learned to use bicycling, walking, and riding transit as embodied methods for observing the racialized and classed power dynamics of urban space. There are a lot of people out there who view driving a car as a passport to a better life because the social stigma against getting around without a car is deeply intertwined with historic legacies of race, class, and gender inequality. As an activist, I'm interested in finding ways to move toward sustainable transportation in conversation with this history, rather than viewing it as somebody else's problem. As a sustainability educator, I ask my students to develop an awareness of their own perspectives. In order to further sustainability in our democracy, we must cultivate cross-cultural understanding and respect for diverse realities. We don't all experience streets the same way and yet privileged groups get to have more input around what happens to our public spaces. I see shifting transportation culture as an opportunity for reflexivity. What is missed when we imagine that sustainable transportation can only come about as the result of political and technical work, which has been the vision of active transportation advocacy for some years now? My approach draws on the tradition of flânerie and the Situationist International's call for political action in public space, blended with feminist critical theory's situated knowledge. Much of my own perspective developed through my confusing experiences growing up as an English-speaking, mixed, Mexican-American kid in the immigrant enclave of a suburban California town where racism still shapes residential patterns. Having always felt in-between myself, I was drawn to study the conflicting, complex ways that people inhabit cities and streets. In my 2013 dissertation, "Body-City-Machines: Human Infrastructure for Bicycling in Los Angeles," I analyzed the history of organized bicycle advocacy in L.A. and my own role as a participant in it. The concept of "human infrastructure," the underlying social relations that influence our values, is something I found in urban ethnography and anthropological theory. These works illustrated how the materiality of individual actions, social networks, and cultural attitudes can be revealed in situations where physical infrastructures fail. Los Angeles, a city known for its love of the automobile, provided a fascinating lab for experimenting with the social networks and multiple urbanisms (especially Latinx urbanism) that have started to grow bicycling beyond niche subcultures into a normal mode of transport there. From 2008 till 2011, I lived carfree as an engaged researcher studying and organizing bicycle projects in L.A. For most of that time, I lived at the Los Angeles Eco-Village, which had been an important hub for central L.A.'s bike social life since the 1990s. Inspired by a trip to Bogotá, Colombia in August 2008, I helped start the effort to organize a ciclovía in Los Angeles, and served as the board secretary of CicLAvia until January 2011. I also co-founded the City of Lights/ Ciudad de Luces project at the Los Angeles County Bicycle Coalition that connected day laborer cyclists with bike advocacy. In 2012, City of Lights transformed into Multicultural Communities for Mobility and in 2018, we are entering a new era as People for Mobility Justice. In Seattle, where I lived from 2011 to 2013, I conducted interviews for the Seattle Bike Justice Project. In 2012, I also co-founded Bicicultures, a network of scholars researching bicycling's many social and cultural forms. Bicicultures explores ways to bring bicycle advocacy, research, and communities into the same conversation. Dr. McCullough and I are turning Bicicultures into an advisory partnership where we deploy our networked understanding of mobility to develop cultural adaptation strategies. Our method uses culturally appropriate interventions to spread sustainable practices. I received a BA in anthropology from Reed College in Portland, OR in 2005, an MA in anthropology from UC Irvine in 2010, and a PhD in anthropology from UC Irvine in 2013. I managed the Equity Initiative at the League of American Bicyclists from November 2013 to March 2015 (you can learn more about what I was doing and why I left here). Bicycling takes place through bodies subject to the hierarchies of our society. I talk with people about mobility because it is a useful site for studying the power dynamics we express through dominating or sharing streets, and the bike movement has given me a laboratory for analyzing the effects of racial segregation on social movements. The trust divides this segregation created will continue to hold us apart until we join together as the human infrastructure for a more cooperative world. Is the bicycle a vehicle for this in your life?